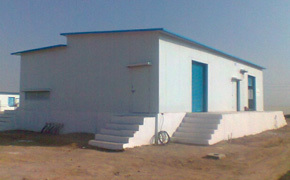 We are offering Solar Control Room that is designed with capacity to meet all kinds of wind load. The design is suitable for seismic zone construction, which are completely pre-engineered and prefabricated. We provide solar control room of various sizes and height as per the suitability of our clients. These are easier to install and that too with precision. Solar Inverter Room is just one way to lower your energy bills and do your bit for the environment. Many sectors like manufacturing industries, railways, Amusement parks, Shopping malls, Commercial Complex etc consumes lots of energy in form of electricity. Our government has approved many solar power projects to crib down the shortage of the electricity. Because, every solar power plant require solar control room and Solar Inverter Room for safe guarding sensitive machinery, E-Pack engaged in manufacturing and supplying a premium quality solar control rooms & prefabricated solar inverter rooms to our customers. 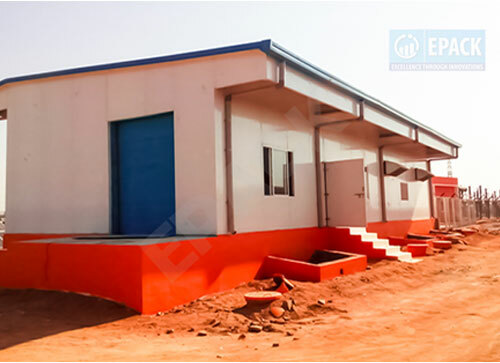 With the efforts of our trained professionals this range is fabricated with the use of PUF/EPS insulated panels which results to higher energy saving and more compatible in adverse condition. Our offered range is checked by our quality controllers under different parameters to make sure that the product is defect free. Mostly Solar power plants are constructed on green sites & on these sites construction using prefabricated technology gives an ease of installation with speed & accuracy. Also, these are avail to our customer at pocket friendly rates. 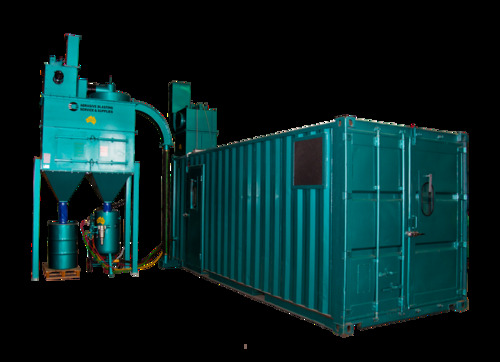 We are amongst the highly efficient and reliable manufacturer, supplier and exporter of top quality array of Shot Blasting Room/Booth. These Acoustic Blast Room System customized enclosure, exhaust systems, illumination, filters and many other components for long lasting use. Our major components of Acoustic Room & blast room systems are made from supreme quality raw materials that are sourced from reliable vendors in the industry. These major components of Acoustic Room & blast room systems are quality tested before dispatching to our clients.